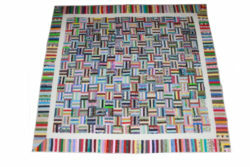 The ladies of Stitching and Sharing are currently auctioning this beautiful quilt until April 23 at 11:30 AM. It is a queen size with the specific measurements of 93 inches by 86 inches. You can bid on the quilt either at the bottom of this page, in the right column of any of our web pages, at the local events we will display it, or locally at Brushy Fork Baptist Church. The silent auction is being held to raise money for Stitching and Sharing to purchase material to sew items for Dress A Girl Around The World. We have partnered with Dress A Girl in order to share with them a dress that tangibly show that we feel they have dignity and value. We encourage you to check out Dress A Girl’s website and their mission. We look forward to seeing what God is going to do with our dresses. 1. After each service (Sun. & Wed.), we will sync the physical location bid sheets with the online bid sheets. The physical location bids will appear on the website as BFBC Location Bid on the Current Bid information. 2. We ask you to make your bids in increments of $5.00. So, please make your bid the next increment of 5 over the current bid online. 3. The online bid will close approximately the same time as the on-site bidding at our church. We will contact you via e-mail if your online bid wins the item. 4. Payment will be made by check or money order to Brushy Fork Baptist Church in the amount of your winning bid with “Stitching and Sharing Silent Auction” in the memo line. We will contact you with all the payment information if you win the auction with an online bid. 5. 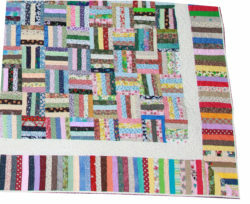 We will not ship the quilt until we have received the check or money order and it has cleared the bank. You are free to contact us to check on the progress. We will try to e-mail you with updates.